We've said it before and we'll say it again - the 32GB of internal memory on the Nintendo Switch is wildly inadequate (and let's not forget that some of it is used for the system). 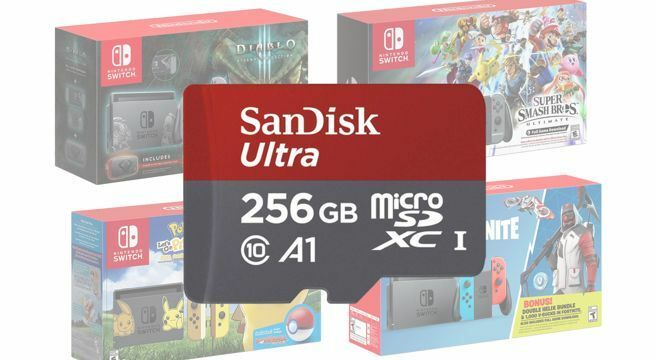 If you're picking up one of the big Nintendo Switch bundles this holiday season, adding a microSD card for additional storage is absolutely essential. Even physical games can have supplemental downloads that will eat that memory up in a hurry. If you plan on downloading a lot of your games, a 128GB will do the job. Currently, you can get the SanDisk 128GB card for $22.95 (8% off) on Amazon. However, you would be surprised at how quickly that will get filled up when you download a lot of top titles. If you want to give yourself a little breathing room, you can go for the 256GB version which is available right here for $54.99. That's only $3 off an all-time low. If you want to go for the microSD that Goldilocks chose, the 200GB is on sale for $40.99, which is about $5 off an all-time low.